Our Miami-Dade Drug litigation lawyers have been following the developments with regard to Pradaxa. Pradaxa was released in October 2010 with great fanfare. It is an anti-coagulant drug, or “blood thinner.” Pradaxa is typically prescribed by your doctor for the treatment of a heart condition known as atrial fibrillation, or “afib,” that is not caused by a heart valve problem. Atrial fibrillation, or “afib,” is an irregular heartbeat. It is one of the most common irregularities involving the atria of the heart. With “afib,” blood does not flow properly from the atria to the ventricle of the heart. Since the blood does not flow properly, there is an increased risk for the development of blood clots, and consequently stroke. To treat “afib,” your doctor may have prescribed Pradaxa for you. Pradaxa was, and is, touted as being a major advancement over other anti-coagulants, such as Coumadin, as it requires less monitoring of blood levels. Unfortunately, however, it appears to have come with a different set of problems. Pradaxa has been linked to an increased risk of life-threatening bleeding. During the first (3) months it was on the market, the FDA received more complaints about it than 98.7% of other drugs. Further, during the first year it was on the market it has been linked to more than 360 deaths due to internal bleeding. As a result, on December 7, 2011 the FDA announced it was launching a safety review of Pradaxa, only (14) months after it came on the market! One of the little known facts about Pradaxa is that, unlike with other anti-coagulants such as Coumadin, there is no way to reverse its affect. In other words, there is no known drug or agent that can be administered to reverse the anti-coagulant effects of Pradaxa should bleeding occur, such as can be done with Coumadin. Despite the FDA’s investigation of Pradaxa, there are several hurdles to proceeding with a suit against its manufacturer. Among them, Florida has adopted the “learned intermediary doctrine.” This means that the manufacturer’s duty to warn of risks associated with a drug is directed to the doctor, not the patient. 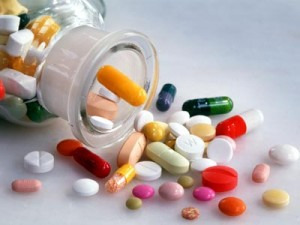 Nevertheless, the courts do recognize a cause of action brought by a patient on the basis that the manufacturer misrepresented information to the doctor, and the doctor relied upon the misrepresentation in prescribing the drug, such as Pradaxa, to the patient. See the court’s decision in Mardegan, 2011 U.S. Dist. LEXIS 89787. Among several practice areas, the South Florida dangerous drug litigation law firm of Halberg & Fogg PLLC., concentrates on legal matters involving adverse drug reactions. Such litigation may be more commonly referred to as bad drug litigation. As such, should you or a loved one have been prescribed Pradaxa and developed a bleeding problem, please let us know. We are here to help you navigate the obstacles involved in bad drug litigation!